Scania’s market reach grows with a key workboat contract. The reasons why are easy enough to see. Tier 3, 500 HP DI13-liter engines in 2017 to power its naval architects and the operators. 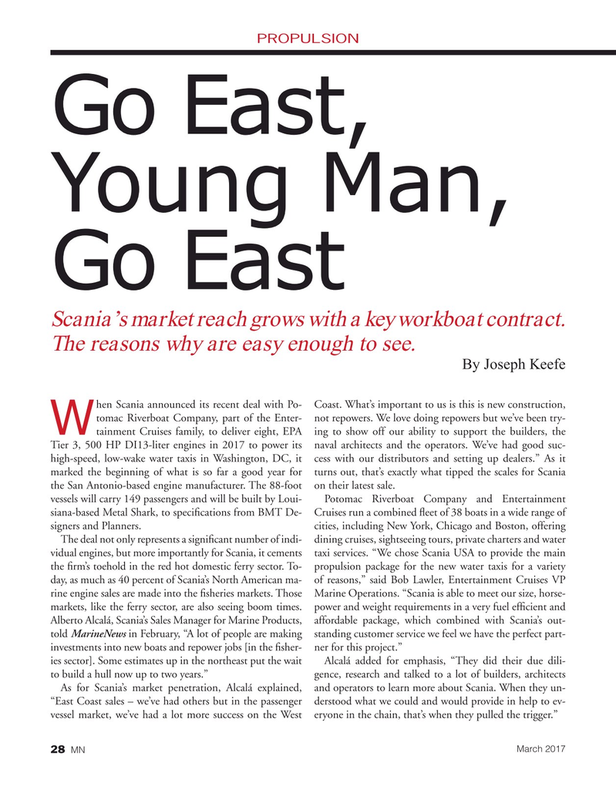 We’ve had good suc- high-speed, low-wake water taxis in Washington, DC, it cess with our distributors and setting up dealers.” As it marked the beginning of what is so far a good year for turns out, that’s exactly what tipped the scales for Scania the San Antonio-based engine manufacturer. The 88-foot on their latest sale.